Ukraine presented system of the higher education at the international A2 Fall Kazakhstan Fair exhibition in Kazakhstan | See you in Ukraine! Within action the stand with information materials about system of the higher education of Ukraine, the Ukrainian universities and possibilities which they open for foreign students was presented. This presentation is a part of the Education in Ukraine project which is realized by request of GP «Information and image center» of the Ministry of Education and Science of Ukraine. The number of studying foreign students testifies to growth of appeal of the Ukrainian higher education institutions in Ukraine which total number for the last three years increased with 40 to 62 thousand, especially for 2012. The greatest interest at the Ukrainian national stand was observed to such spheres of a science, as medicine, technical specialties and information technologies. Visitors of an exhibition were given opportunity to communicate to representatives of the Ukrainian state center of the international education, and also the Ukrainian universities and to ask about everything that them interests concerning the higher education in Ukraine. For example, presentation of the popular directions carried out the Dnepropetrovsk national university of a name Olesya Gonchara and Sumy the state university. Participation in the Education in Ukraine project gives the chance to future students to get quality and available higher education of the European standard from Kazakhstan. It answers the Bologna Process concept within which Kazakhstan in a row focuses some years the activity on base bases of the European higher education. As the Consul of Ukraine in the Republic of Kazakhstan Sergey Aleksandrovich Boboshko noted, this year the exhibition passed at high level, the number of visitors considerably increased, and interest to the Ukrainian education raised. Also about an exhibition vice consul Roman Ivanovich Koruzhinets shared the impressions: «It is necessary to continue to declare itself surely. 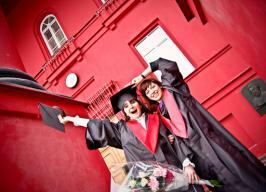 To declare not only an education level, but also about interesting life in Ukraine. Parents consider quality of education and cost, and students look at comfort. Therefore it is important, that they understood that in Ukraine conveniently and beautifully to live». 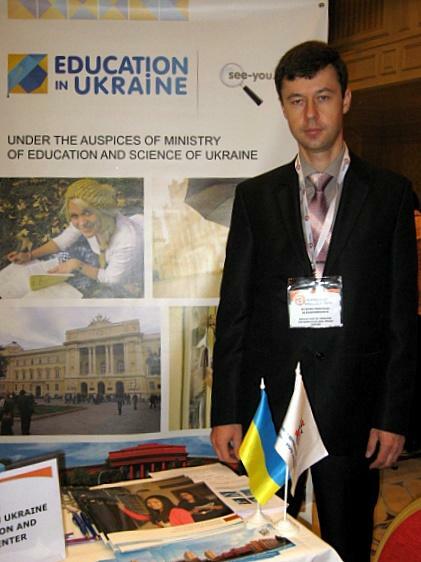 According to the adviser of embassy Peter Vasilyevich Tokarya, such participation of Ukraine in educational exhibitions is important for future cooperation between the countries. The presentation of "Education in Ukraine" gave opportunity to the Kazakhstan school students to receive the most necessary information on an education system of Ukraine and prospects which open the Ukrainian higher education institutions. The project is realized by the Euromedia company by request of GP «Information and image center» of the Ministry of Education and Science of Ukraine in assistance with the Ministry of Education and Science of the Republic of Kazakhstan with RGO support «The uniform child youthful organization "Zhas Ulan".